Short videos about how our food gets from the farmer to our tables. The main drivers of Australian climate explained with animation. 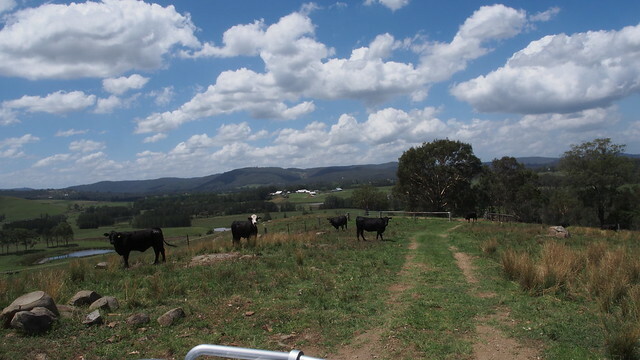 This range of videos can be used to provide students with a virtual visit to Tocal farms. This series of videos examines the role that NSW DPI plays in ensuring safe and productive primary industries. The videos are most suited to upper primary and high school students. We recommend that teachers watch these videos before showing them to students to assess their suitability. The teacher guide includes a short synopsis, NSW syllabus links, a glossary and a transcript of the video. With easy access into Australia via travel, imports and even online shopping, we talk about about current biosecurity pest and disease incursions affecting Australia and also the threats that are being prepared for. Costa Georgiadis interviews some of the people working in NSW DPI Biosecurity who are protecting New South Wales $15 billion dollar primary industry sector, highlighting the important and varied range of careers in biosecurity. In this video District Veterinarian Digby Rayward explains why and how he collects samples for the National Arbovirus Monitoring Program from the dairy herd at Tocal. The video includes images of blood being collected from cows while they are held in a crush.